Night Hunting is fun, there are no two ways about it! 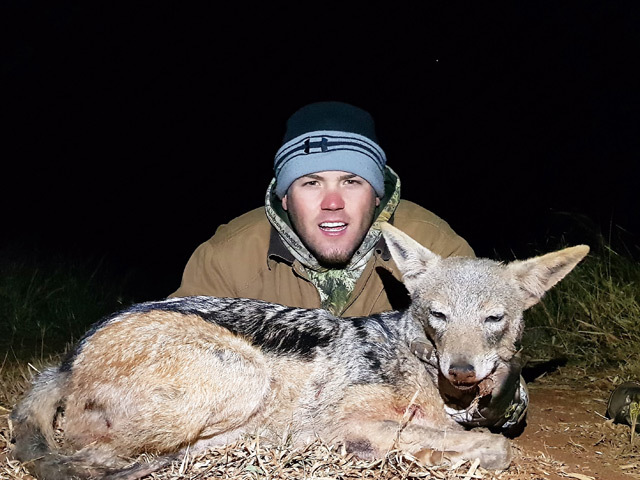 We all love hunting predators, and in South Africa we are fortunate to have a government that understands, and supports the management of these critters, in a responsible and sustainable manner! 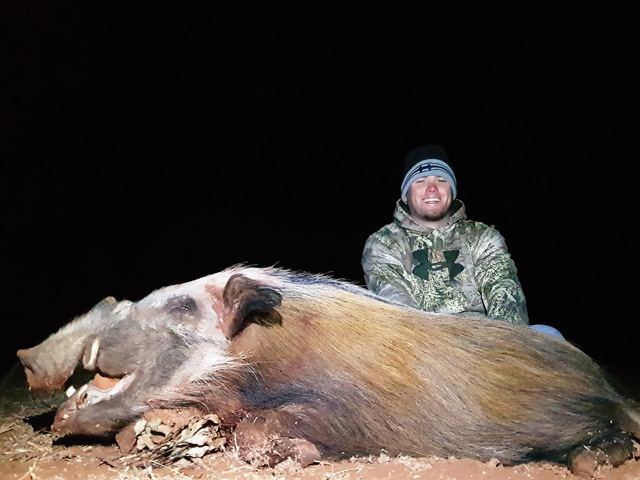 Bow hunting for Bush pig hunting is a GREAT passion of Charl van Rooyen and his wife Erika van Rooyen. 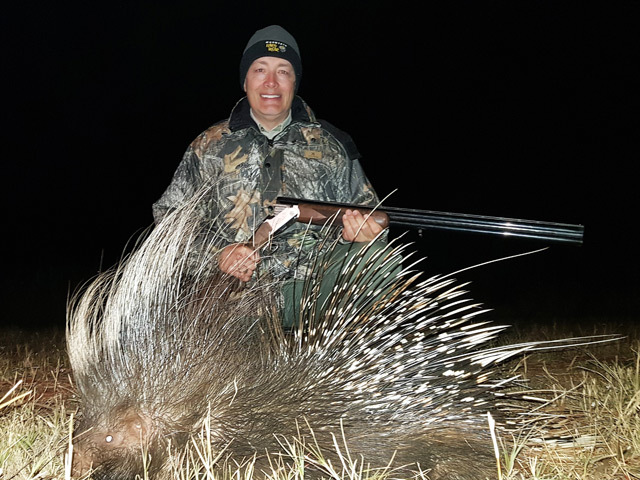 Over the past ten years he has become known as the top Bushpig hunting guide in South Africa. 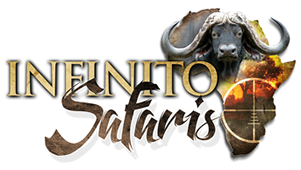 For the past 5 years Infinito Safaris maintain 6 permanent baiting sites, and only shoot mature, trophy Bushpig Boars. Guides are HEAVILY penalised when they shoot a sow or immature boar! 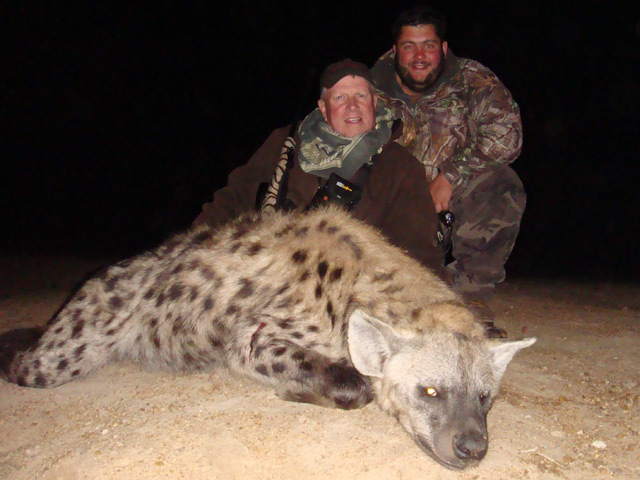 When he found a way to call Serval on a consistent basis, Charl van Rooyen made a name for himself as a top guide for small predator hunts. 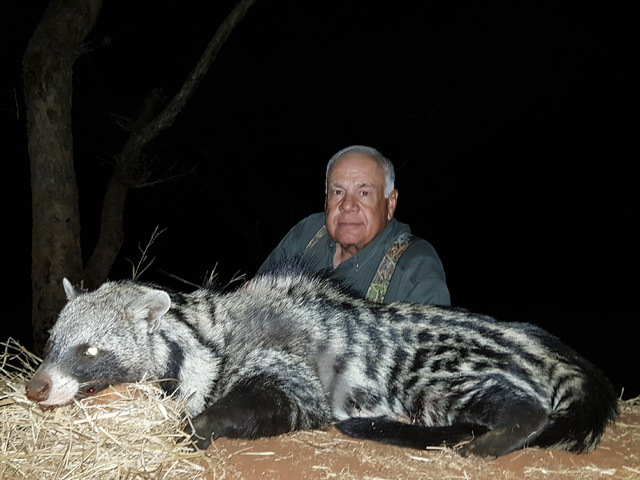 Over the last 5 years he taught and guided Gawie into a position where he learned all the skills, and secrects, of hunting these night creatures! Permits (TAGS) for these sought after species are VERY limited and we are usually booked out a year in advance. 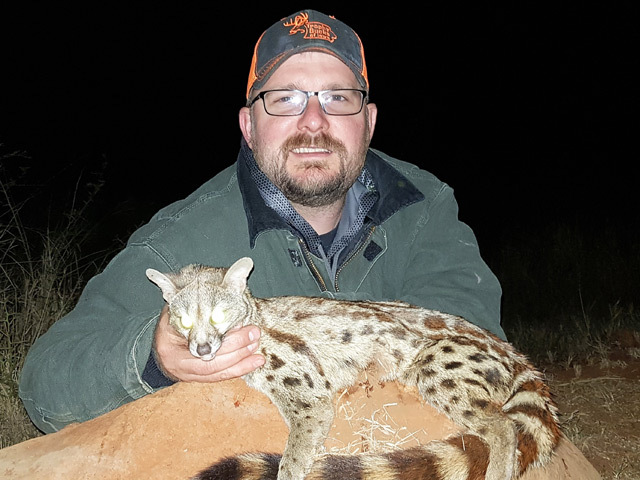 Little Trivia for you – Charl van Rooyen has a 100% success rate on Serval and Caracal over the last 10 years of hunting for them specifically! No one that he has guided went home without one! For our specialised night hunts an extra fee of $100.00 per night will apply UNLESS the hunter decides to rest during one of his day hunting sessions. This includes all specialised equipment that we use for night hunts.